August, Saturday 13, 1864. 5 miles West of Atlanta nothing of note in the forenoon inspection at 2 P.M. 3 P.M. we advanced our lines and took 30 prisners, our loss 3 men kiled and 2 wounded. I receved a letter from P.J. Brown to day. 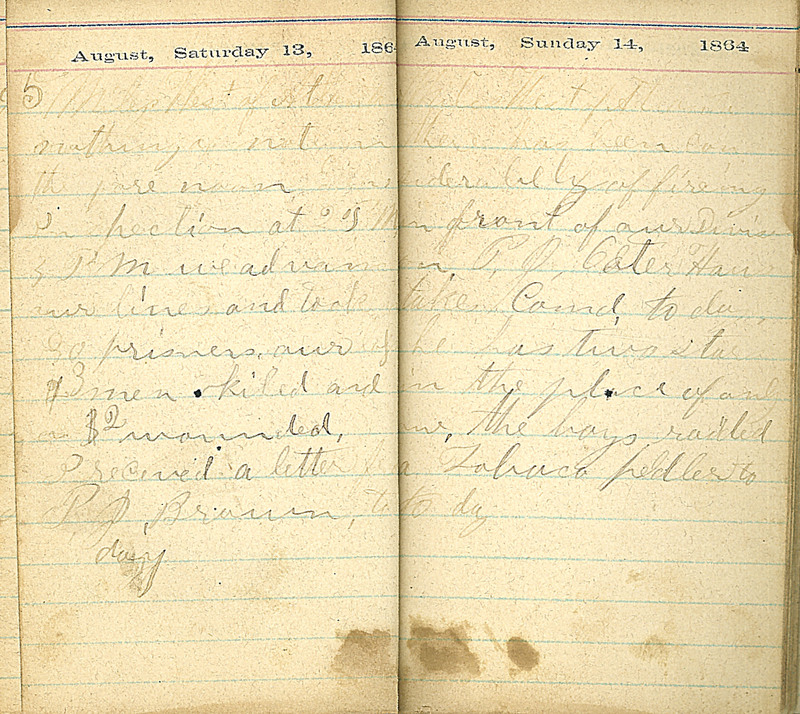 August, Sunday 14, 1864. 5 miles West of Atlanta. There has been considerablly of fireing in front of our Division. P.J [Osterhaus?] take commd to day, he has two stars in the place of only one. the boys raided a Tobaco peddler to day.